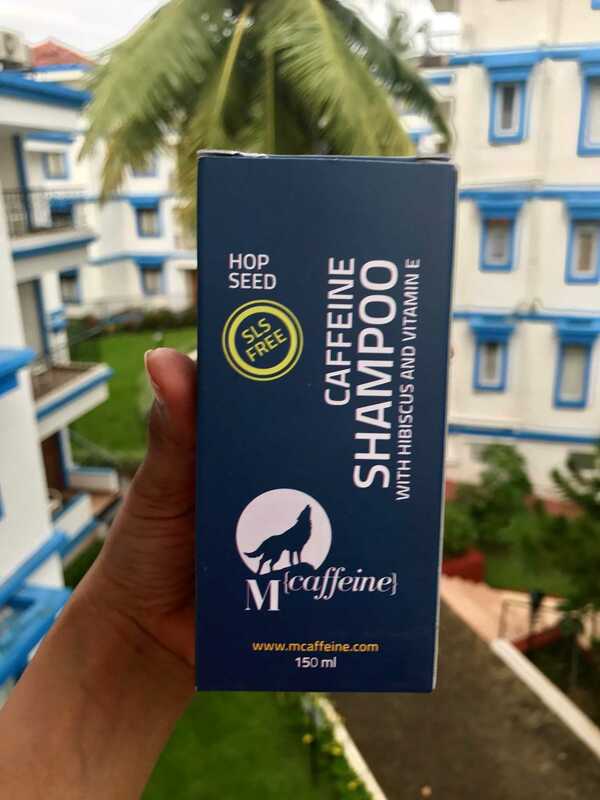 Currently, I am totally in love with Mcaffiene products and thought of sharing it with you guys. 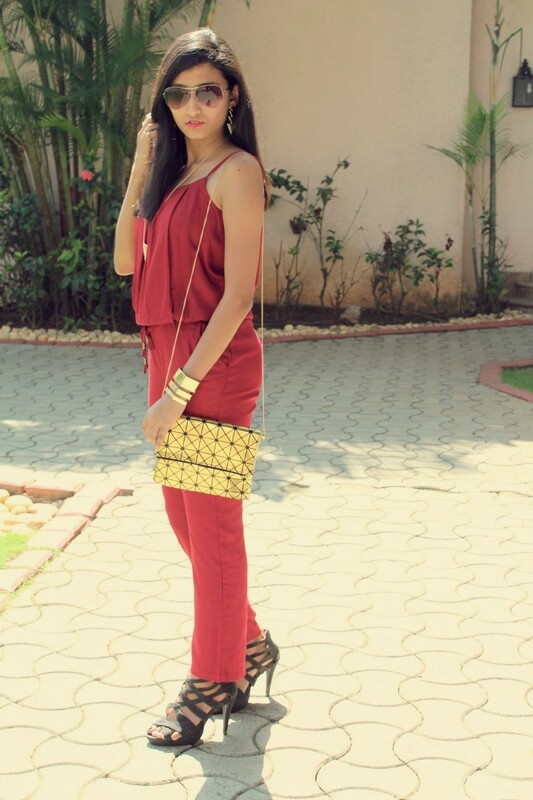 Spoina Style society introduced me to this brand. I was quite skeptical before trying this because you never know how a product will react with your hairs or skin. After some research, I thought of giving it a try. 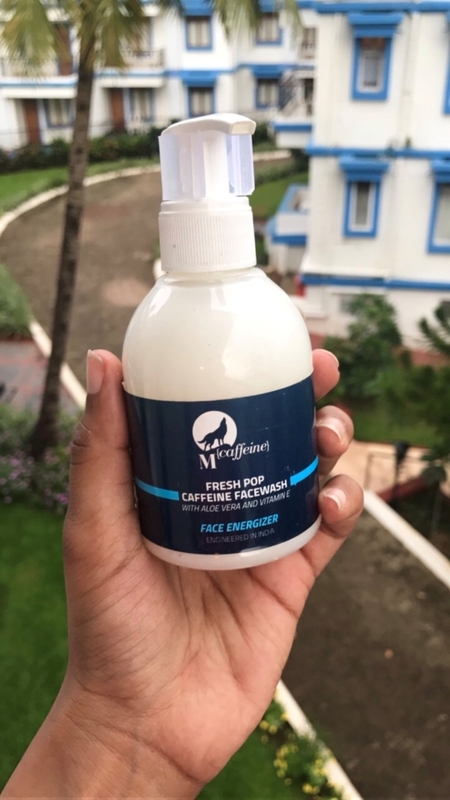 I am using Mcaffiene fresh pop caffeine face wash and Hop seed caffeine shampoo for more than a month now and I am absolutely amazed at the results. 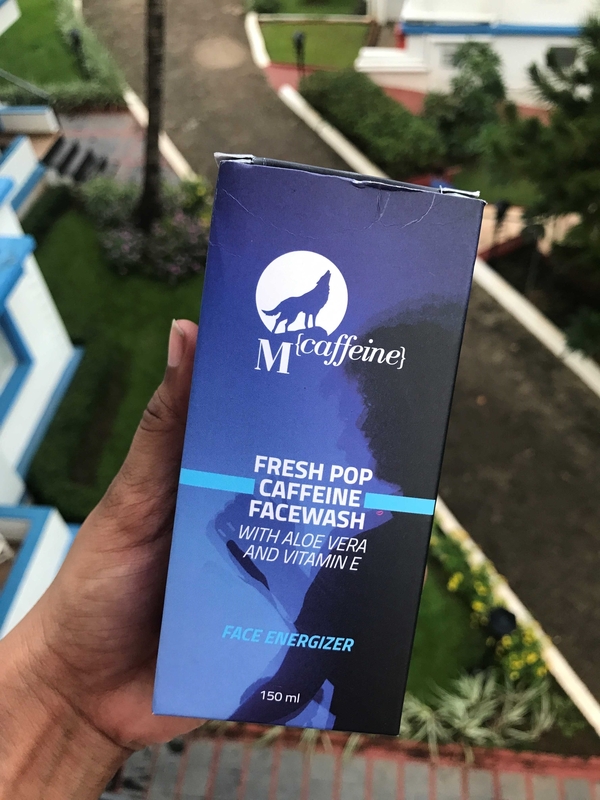 Coming to the first product which is Mcaffeine Fresh pop face wash. It is genuinely the best face wash I have ever used till date. I have dry skin and this one works so well with my skin. I wash my face twice a day and my skin feels so fresh an healthy. 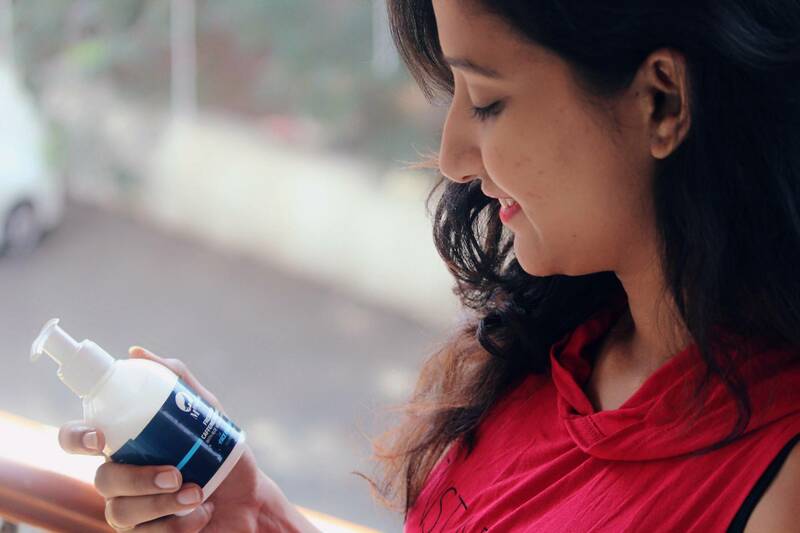 It is a kind of nourishment to your skin as it contains caffeine, Aloe Vera, and vitamin E. Our environment these days Is totally polluted that wreak havoc on our skin. Caffeine is a powerful antioxidant which helps in protecting our skin. Caffeine also helps in promoting blood circulation which leads to healthy and energized skin. It also contains Vitamin E which plays a major role as an anti-aging agent. It helps in blocking free radicals which otherwise cause a lot of harm. Vitamin E is best for delicate skin as it helps to keep your skin hydrated. There are tons of other benefits of vitamin E which keeps your skin healthy and young. It also contains Aloe Vera which is again an add-on as it works great as a moisturizer and a perfect solution for acne treatment. Well, this is my favourite and I am going crazy over it. Trust me guys this shampoo worked like magic for me. I have extremely frizzy and dry hairs, which was always my concern. 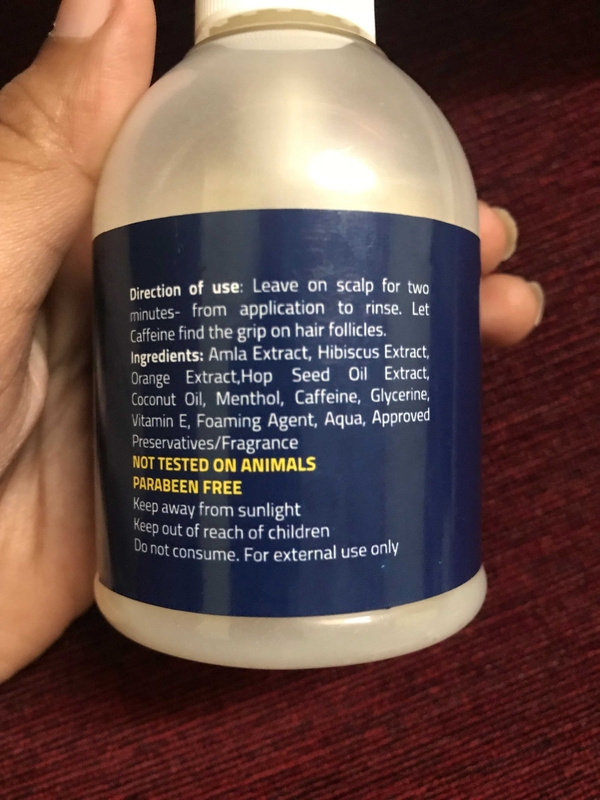 I tried hell lot of products that are available in the market but nothing really worked with my hairs. I used this shampoo and it helped me to reduce the frizz even without using any sort of conditioner. I have been suggesting this shampoo to everyone who is stressed about the healthof their hairs. After such amazing results, I was curious to know what does it contain. So let's have a look at its ingredients. 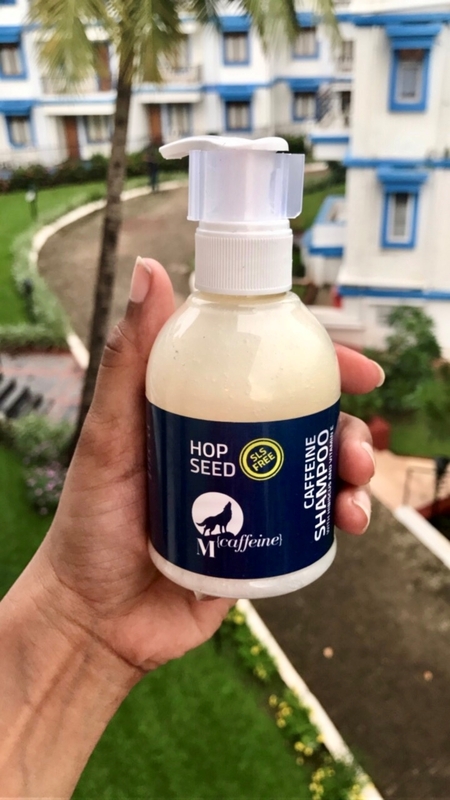 It contains a lot of useful ingredients and hop seed oil extract plays a major role in improving the health of your hairs. Hop extract itself contains essential vitamins and oils which help in improving the health of your scalp. These important components interact with hair follicles and natural oils and help in improving the sheen an strength of your hairs. Apart from this it also contains Amla extract, Hibiscus extract, orange extract, coconut oil, caffeine & vitamin E.
Hibiscus has this amazing ability of promoting hair growth. It helps a lot in regaining the volume which is generally reduced due to heat styling and other harmful styling methods. Caffeine has antioxidants which help to stimulate healthy cell production and also protects your hairs from free radical damage. Basically, this little bottle is packed with so many beneficial ingredients that it works great for all types of hairs problems. I am totally impressed with this product. You guys can google benefits of all the ingredients it contains an give it a try once. I am sure you will definitely fall in love with this one. Hope you guys find this post helpful. If you try these products ,let me know your reviews in the comments.